I HAVE THE VICTORY,HALLELUJAH . 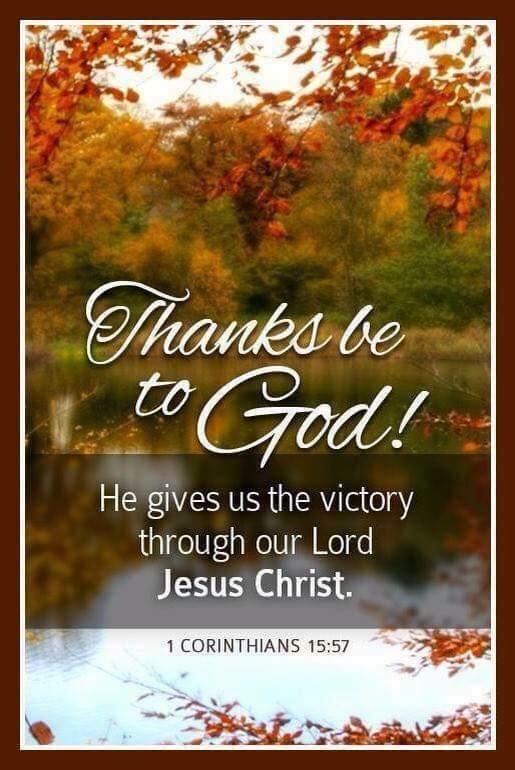 +In Christ Jesus we have the VICTORY, and we are VICTORIOUS!!! For whosoever is born of God overcomes the world: and this is the VICTORY that overcomes the world, even our FAITH. Who is he that overcomes the world, but he that believes that Jesus is the Son of God? +All we are to do is to simply EXERCISE the VICTORY we already have in Christ Jesus over the situations. +For an extensive and inexhaustible list of VICTORIES we have in Christ Jesus please consult with your Holy Bible from Genesis to Revelation. Now the just shall live by faith: but if any man draw back (his faith), my soul shall have no pleasure in him. -When we release our faith in God. God releases His Supernatural Miracle Working Power in us. That all of you be not slothful (lazy), but followers of them who through FAITH and PATIENCE inherit the promises. This entry was posted in Daily Message and tagged VICTORIOUS.